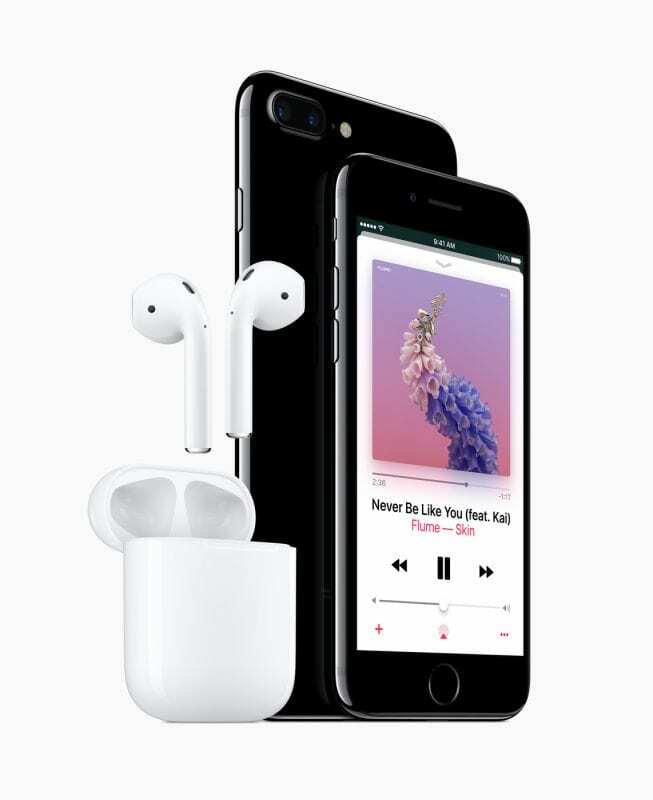 Apple has finally unveiled the iPhone 7 Plus, along side the iPhone 7, Apple Watch Series 2 and Wireless Airbods in a ceremony held in San Francisco, US. The iPhone 7 Plus rocks a 5.5-inch Retina HD display with 3D touch and true to rumors, the device is powered by a new quad-core A10 Fusion chipset. The processor is accompanied by a 3GB RAM and three storage options of 32GB, 128GB and 256GB. The iPhone 7 Plus comes with dual 12-megapixel with one having a wide-angle with f/1.8 aperture and a telephoto lens with f/2.8 aperture for new depth-of-field and has OIS along with Quad-LED True Tone flash. It also has a new 7-megapixel Facetime camera. The iPhone 7 Plus comes with a pressure sensitive home button which also doubles as fingerprint sensor. The button vibrates when touched and doesn’t make the normal click sound when pressed. As for the prices, the 32GB base version starts at $769 in the US (about N242,000 in Nigeria, Ksh. 78,000 in Kenya), for the base 32GB model. While the 128GB variant costs $869 (about N274,000,) and the 256GB costs $969 (about N305,000 in Nigeria, Ksh. 98,200 in Kenya). I am looking Iphone 7 -128gB jet black .. Brand new Original Apple iphone 7 and 7 128GB plus cost 550usd with 1year warranty. Brand new Original Apple iphone 7 and 7 plus cost 550usd with 1year warranty.